New to SEO? Looking to employ a digital marketing agency to manage your online campaigns and content marketing for you? It can be very confusing to find the right fit as there are so many snake oil merchants with empty promises that will hurt your site more than helping it. You must be very careful to avoid companies that use black hat SEO tactics, as these can have devastating effects on your website. We've listed the main tactics to steer clear of; if you see anyone offering these services then we advise you run away, and fast! The first black hat tactic we're going to discuss is the placement of links on what's known as a "link farm". These types of sites are solely created for the purpose of creating unnatural links to increase page rankings. The danger is that your website link will find itself next to undesirable businesses, such as those related to gambling or health products. Google is constantly working on their algorithm precisely to battle links such as these. Just look up services such as Build My Rank to see how such strategies can pan out. You will also want to avoid any service that uses black hat software to blast out low-quality links. Remember, the quality of links is much more important than the quantity. Cheaper services will often try to tempt you by advertising an impressive number of links that they can point at your website. 1000 links from web 2.0s, bookmarking sites, article directories and social media for only a few dollars sounds like quite a good deal at first glance. However, what these providers leave out is the fact that Google does not like low quality links or an unnaturally high amount of them. Rather than help your site, these links will result in your business disappearing from the search engines. 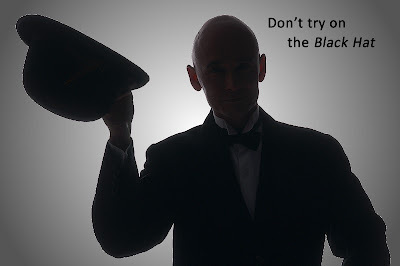 Duplicate or spun content is another major issue when using black hat services. Google is a huge fan of unique and useful content. As usual, you get what you pay for. This type of content is more expensive and far more time consuming and black hat service providers will therefore use existing web content for use on their SEO projects. They will use what is known as a "spinner", which is a program that uses synonyms to attempt to spit out unique and readable content. Unfortunately, there is not a single program on the market that can do this easily or without heavy manual work and so you will often be left with low-quality drivel that Google will most definitely not look kindly upon. If you have a legitimate business and want to remain that way, then we highly recommend staying away from cheap services that offer low-quality black hat backlinks. While it's possible that you may enjoy a boost in your rankings, it is almost guaranteed that it will only be temporary. In the worst case, your site will be penalized and blacklisted by Google and will require a lot more work to reestablish yourself at the top of the search results. For this reason we always recommend opting for an ethical and transparent digital marketing agency that only uses white hat SEO methods and quality content marketing. It may take longer and cost you a little bit more money, but your business will be safe from Google penalties and thus be more profitable and less costly in the long-run.